I love beans! 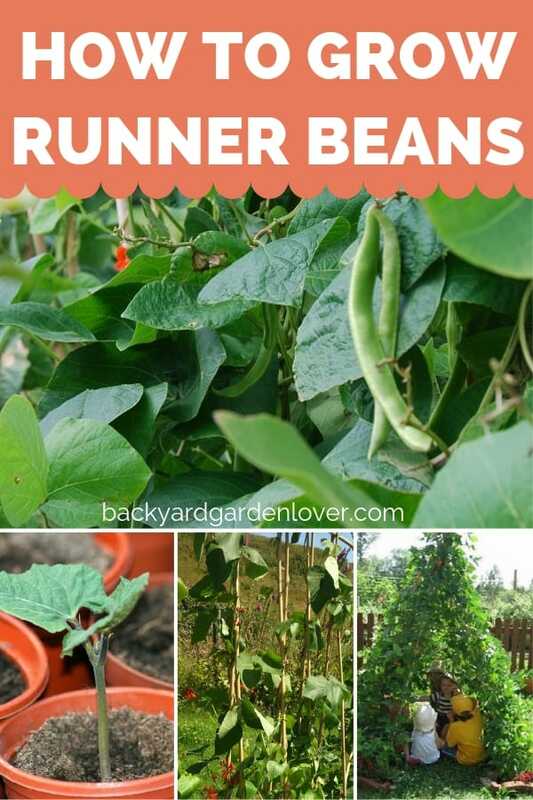 If you do too I’ll share all your need to know about how to grow runner beans. These vegetables are easy to grow, providing an abundance of vegetables to eat, freeze and plant the next year. Amazingly, the first runner bean plants grown in England or the U.S. would never have been found in a kitchen garden. Runner beans were more likely used as a backdrop in the flower bed. It wasn’t until the mid-17th century that anyone thought to let the stunning flower display turn to seed and eat them. 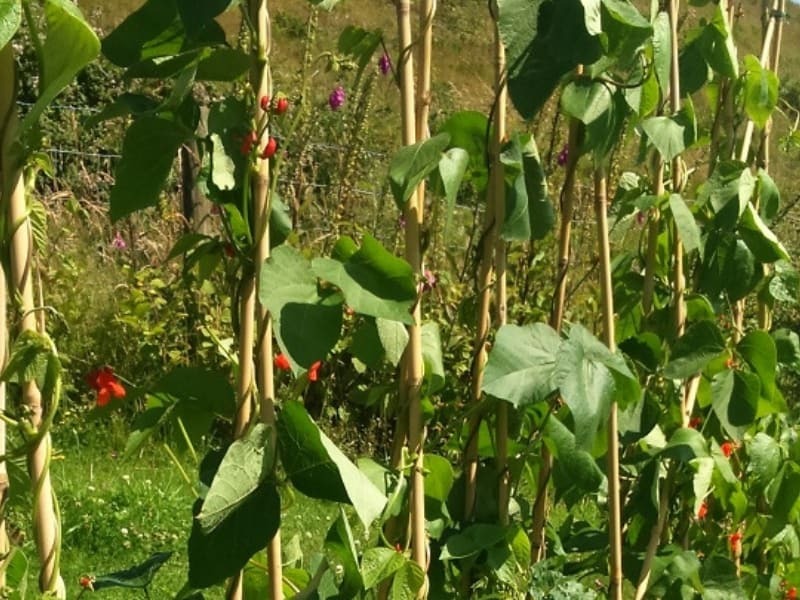 Runner beans are so easy to grow that almost every vegetable gardener has them growing on some sort of trellis. Although legumes are thought of as a green manure, obtaining the nitrates they need from the atmosphere, they do need a rich humus and water retaining soil. Contrary to what people think, they do not obtain all the nitrates they need from the atmosphere. To achieve the perfect bed for runner beans we always plant them into a traditional bean trench. It provides the best growing environment for beans. To start a bean trench, collect kitchen waste and newspapers during the autumn. Then dig the trench as long as you want it, one spade deep and two spades wide. Line it with newspaper. 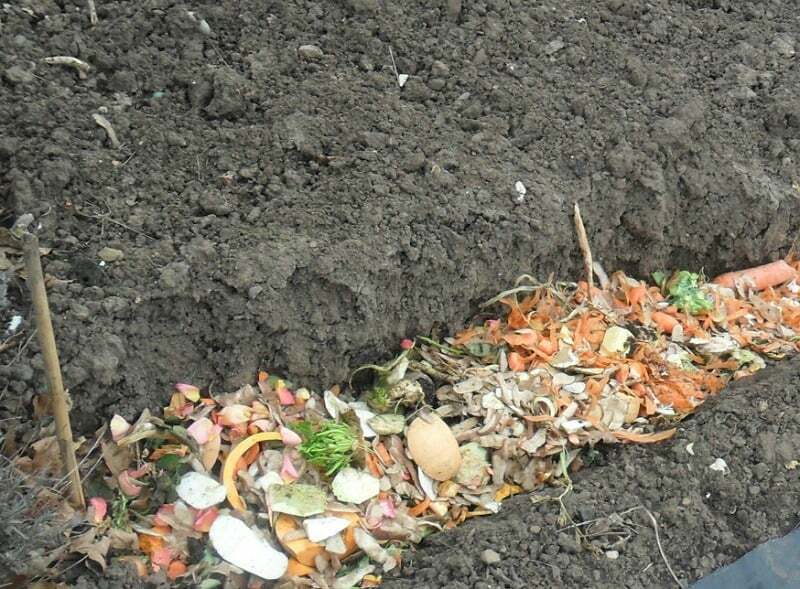 Fill the trench with the kitchen waste you have collected, and cover it with soil. Let it rest over the winter. This is also called trench composting. When it is time to plant your runner beans, the trench will have settled. It will leave a depression in the soil, which is ideal for collecting extra water. It is also a good idea to give the soil a dressing of wood ash before transplanting your seedlings. 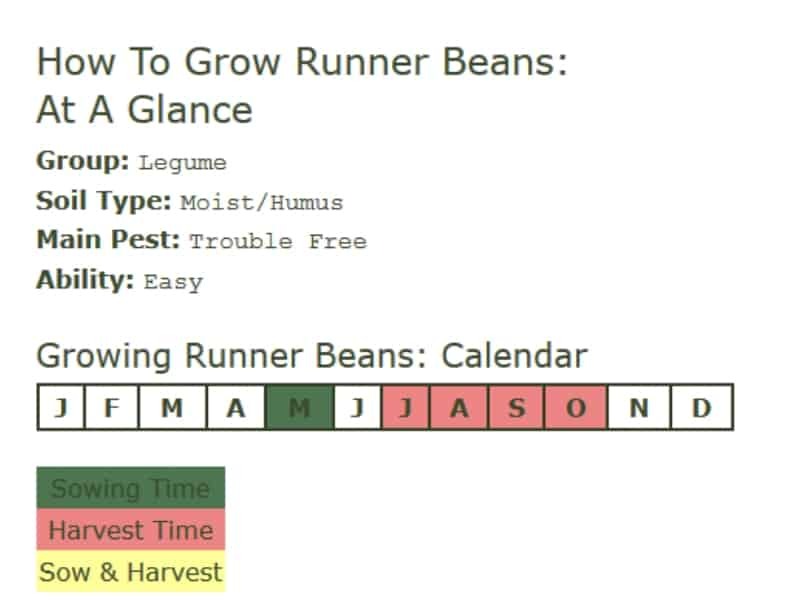 If you do all this, you will know most of what you need to know for how to grow runner beans. You can plan on a bumper crop! 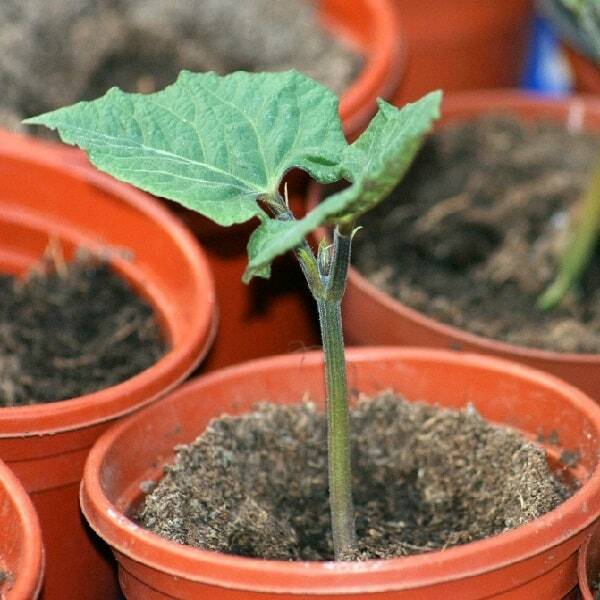 Plant in early May either indoors or in the greenhouse in a 3-inch pot with general purpose compost. Sow one seed per pot, 2 inches deep. Keep the seedling well-watered. While you are waiting for the seedlings to grow, prepare a frame in the garden. 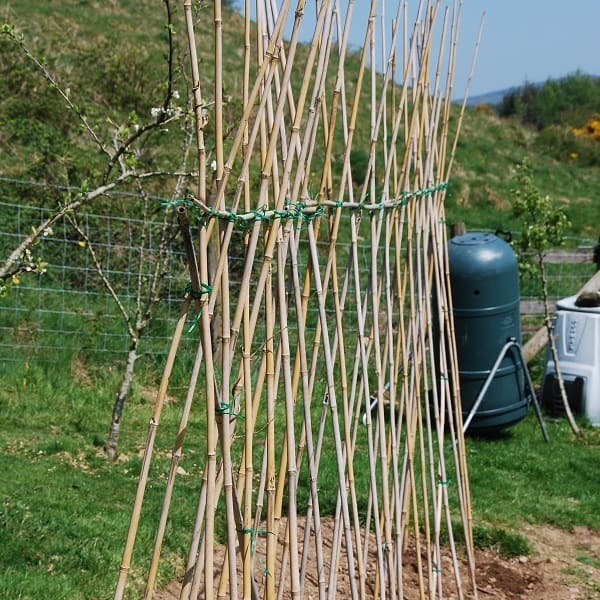 To make a frame for the beans to climb, insert a double row of 8-foot bamboo poles into the ground, spacing the poles 8 inches apart with 16 inches between the rows. The frame should be arranged over the bean trench so that young plants can grow in the trench itself. Then cross the poles at the top. Run a pole along the top of the two poles and tie them in place, making a two-sided frame. Transplant one seedling per cane as soon as the risk of frost has passed, usually in the beginning of June. As the plant grows, it will wrap around the cane until it reaches the top. Keep an eye on the growing plants as sometimes they do like to jump poles. To correct this problem, gently unwind the plant and wind it back round the correct pole. As soon as the bean reaches the top of the frame, pinch it off to force the plant to bush out. 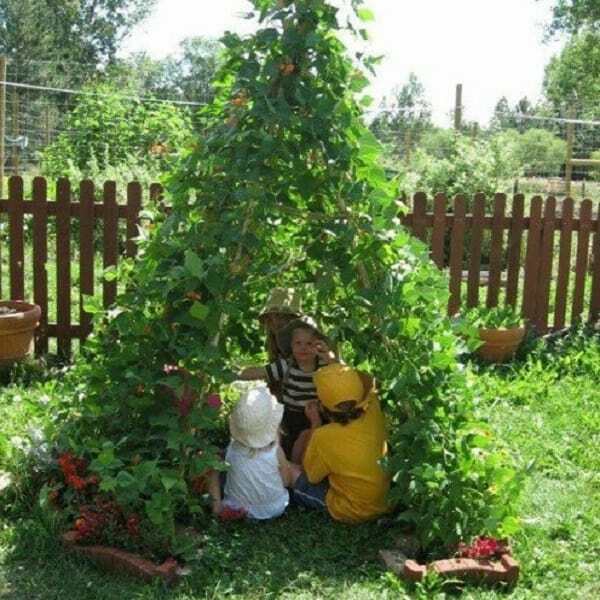 If you are not keen on having a simple row of beans, try building a wigwam frame or even a maypole. This can be pretty and is a good way to minimize the space needed. After the flowers start to appear, growing runner beans requires little else but watering in dry spells and feeding once a month. Runner beans rarely have problems. Halo blight and rust have been reported occasionally. In some years aphids also attack them. Halo blight and rust both need moisture to grow and survive. To prevent these diseases, avoid sprinkler watering and remove and destroy any infected leaves. Neither disease should have any effect on your yield. However, if you have an infection, destroy the plant if the infection is heavy. As soon as the plant has finished production, remove it. Aphids are easy to control and it is unlikely they will bother your runner beans. Learn more about aphids control here. 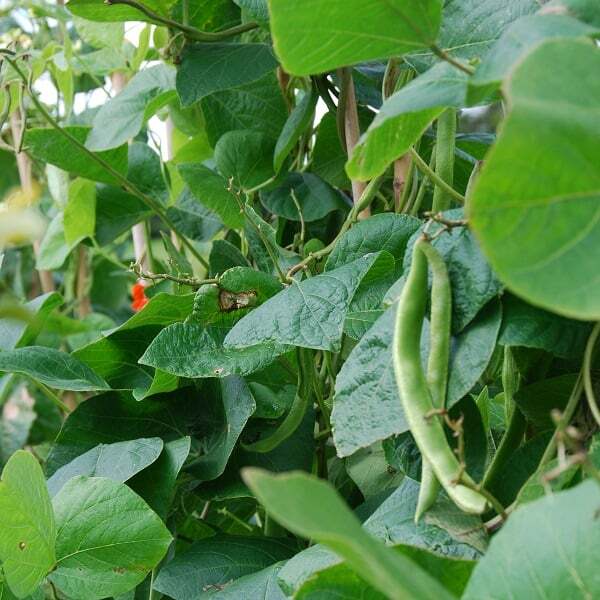 Runner bean plants are very rewarding, providing a lot of fresh produce for the space they require. Harvest beans for eating in pods when they are very young. It is difficult to say how big a young bean should be, but less than 8 inches long and 2 inches wide would be normal. After a while, you will get to know how big your favorite bean is. Keep picking regularly to encourage production. As we tend to eat whole beans, we prefer a string-less variety, which means the whole pod can be sliced and cooked without removing the tough stringy edge of the bean. Our favorite variety is Polestar as it freezes well. Runner beans are best eaten fresh. However, because you get such a glut, it’s well worth choosing a good freezer bean. You can also let the pods swell and harvest the kidney beans. They are delicious in stews or chili con carne. Remember later in the season, to leave some whole pods to swell. Dry these pods for your next year’s seeds. Runner beans are a fantastic fresh vegetable that can be used in many ways. Just a five-minute simmer of finely sliced beans with butter and black pepper is delicious. They also make a great addition to most dishes. For a light snack, lightly cooked beans with a soft poached egg is tasty. You can even eat them raw in salads. Excess beans can be frozen. Just give them a 30-second blanch and plunge them into ice cold water. Dry them and put them on cookie sheets in a single layer, and freeze. Transfer the frozen beans to a freezer bag to store. You can also make bean pickles and chutneys.